One of the most repeated phrases you will hear in offices up and down the country is “we don’t have enough time”. 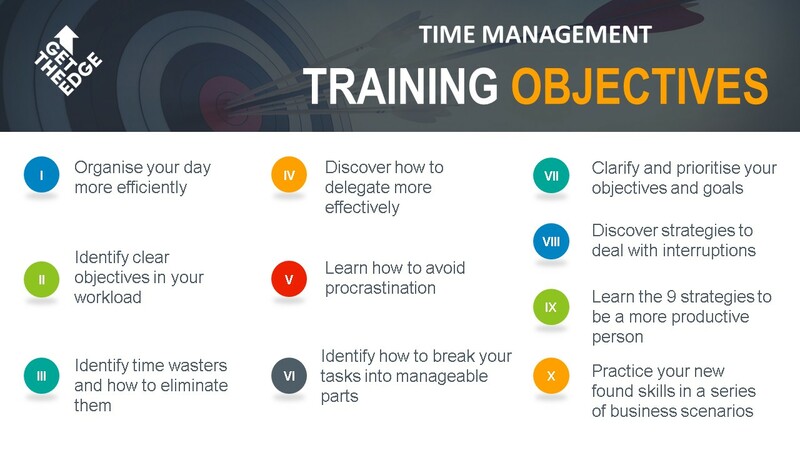 Well that’s no surprise really, time is a limited resource, once you have lost it you cannot gain it back, which is why it is so important to manage it effectively. All to often staff are simply asked to work harder, to put in more effort to get the job done, but this can create stressful environments and ultimately performance will suffer. So whether you assign a pound value to it or not, time has a value. 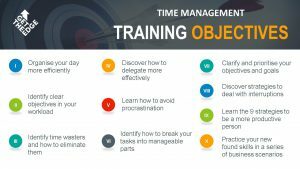 This comprehensive one day time management workshop is designed to help delegates develop their time management skills and to share with them techniques that will allow them to make more intelligent use of their time. Get in touch and see how we can help you!